With their small size, stubby faces and wide-set eyes, bulldogs, French bulldogs and Boston terriers are among the most popular of domestic dog breeds. Now researchers at the University of California, Davis, have found the genetic basis for these dogs’ appearance, and linked it to a rare inherited syndrome in humans. Their findings are published in PLOS Genetics. 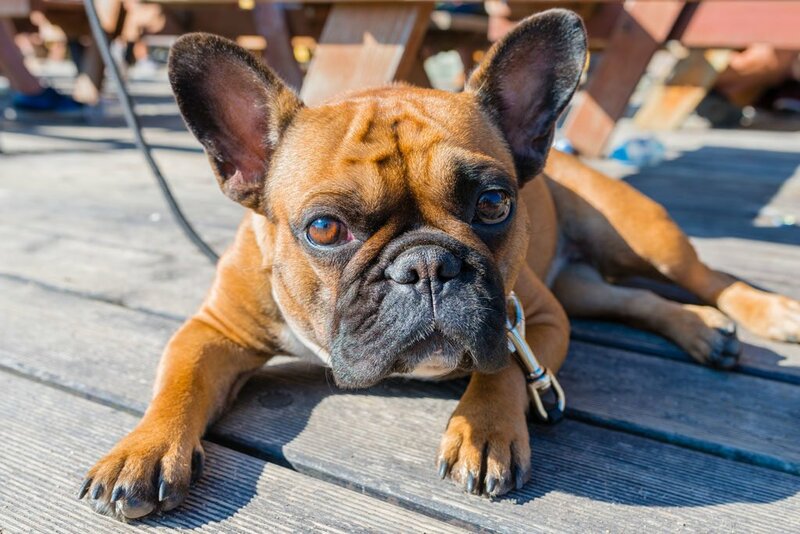 Bulldogs, French bulldogs and Boston terriers aren’t the only dogs with short, wide heads, but they do share another feature not found in other breeds: a short, kinked tail or ‘screwtail’ as all lack the vertebrae that make up the tail bone. The researchers sequenced the whole genome—the entire DNA sequence—of 100 dogs, including 10 from screwtail breeds. They then searched through the DNA sequences to find changes associated with screwtail breeds. From more than 12 million individual differences they were able to identify one mutation, in a gene called DISHEVELLED 2 or DVL2. This variant was found in 100 per cent of the bulldogs and French bulldogs sampled and was very common in Boston terriers. Moreover, mutations in the related DVL1 and DVL3 genes are known to cause Robinow syndrome, a rare inherited disorder in humans characterised by strikingly similar anatomical changes—a short, wide ‘baby-face’, short limbs and spinal deformities. In addition, Robinow patients and the screwtail breeds also share other disease traits, such as cleft palate. In both humans and dogs, DVL genes are part of a signalling pathway called WNT involved in development of the skeleton and nervous system, among other things. By characterising the screwtail DVL2 protein product, it was possible to pinpoint a key biochemical step in the WNT pathway that is disrupted by the mutation. Understanding a common mutation in popular dog breeds may give more insight into the rare Robinow syndrome in humans. Only a few hundred cases have been documented since the syndrome was identified in 1969. “It’s a very rare human disease but very common in dogs, so that could be a model for the human syndrome,” author Professor Danika Bannasch said.